We’re pleased to welcome Craig Duran and The Duran Group to Berkshire Hathaway HomeServices Beach Properties of Florida. A veteran area real estate professional, Craig and his team are focused on residential resort property sales in Panama City Beach and neighboring communities. A former professional musician, Craig brings 14 years of real estate sales experience and an outstanding track record of success, closing over 500 transactions totaling over $150 million during his career to date. 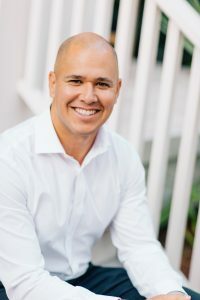 Prior to joining Berkshire Hathaway HomeServices, he was a sales agent at Pelican Real Estate where he ranked as the top selling agent annually since 2009. Away from the office, Craig can be found spending time with his wife Christy, an entertainment lawyer, and their children Ava (13) and Roman (7). While he still plays music when he can, Craig is an avid golfer and makes time for a round whenever possible. © 2019 Central Panhandle Association of Realtors MLS. All rights reserved. IDX information is provided exclusively for consumers' personal, non-commercial use and may not be used for any purpose other than to identify prospective properties consumers may be interested in purchasing. Information is deemed reliable but is not guaranteed accurate by the MLS or Berkshire Hathaway HomeServices Beach Properties of Florida. Data last updated: 2019-04-26T00:05:36.8.